The infamous multi-level haunted attraction in Illinois / Chicago that is so scary, you can't make it through and you can get your money back! For years there have been rumors circulating of a multi-level haunted house, in the Chicagoland area, that gives you your money back if you make it to the top. Throughout the years, there have been numerous variations of this tall tale. The most popular version that I have heard is the account of a 13 story haunted house in Chicago that costs $100 to get in, where you get your money back if you make it to the top. Other variations feature a house with more levels and/or cost more to get in, and some stories describe a house that gives you some amount of money back for each level you make it through. I've even heard the rumor of a Chicagoland haunted house that would give you your money back and a free ticket to Great America if you made it through. Sounds kinda far-fetched, doesn't it? Not one of these stories have ever been substantiated. No matter what variation of the story you hear, the circumstances are always the same. The person telling you about the haunted house has never gone to it themselves and they don't know exactly where it is located. A 'friend of theirs' or someone that their friend knows went to it... No matter who you question, no can ever give any concrete details. Sound familiar??? Here is something to consider. How could an operation like that be profitable? Imagine the substantial cost that would be involved in operating such an enormous attraction (especially in the city of Chicago). The expenses would include the purchase or rental of the multi-level building in the city with ample parking, electric bill, heat, the mammoth cost of furnishing this multi-level building with props, animatronics, special effects, actors, etc. Not to mention the revenue lost by giving a percentage of the patrons their money back! Here is another thing to think about. If you didn't make it to the top and you were on one of the middle floors, where would you exit? And how would you NOT be able to make it through? Do you fall through a trap door? Do they have a slide from every level to the ground? Obviously, fire and safety codes wouldn't allow such a thing. The whole concept is just absurd. The premise of these stories has been a popular Urban Legend in Northern Illinois for as long as I can remember. No one has ever been able to provide proof of the existence of such a haunted house. If someone tells you of a haunted house like this, but has never been there themselves and they can't tell you where it is, it is probably a hoax and doesn't exist. If you are still skeptical, go to Snopes.com, a website that explains Urban Legends. Click here to read a story on their website, disproving variations of this multi-level, money-back haunted house myth. 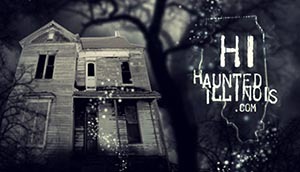 The only money-back haunted house that is known to exist was the Urban Legends Haunted House in Warren, Michigan. There are none in Illinois. It should be noted that this Michigan haunted house is a single-level attraction and they don't give you your money back if you make it through (as described in all the stories and rumors). Urban Legends Haunted House gives you your money back only if you find the "special hidden room" hidden within the maze.